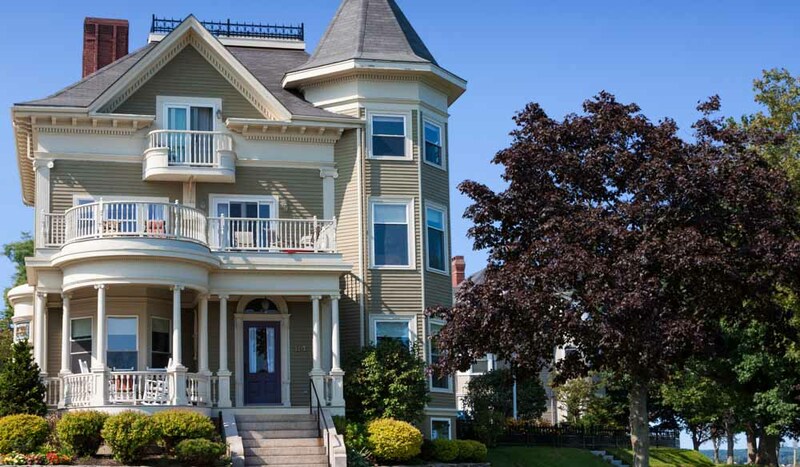 Gorgeous House with Grey Clapboard, Portland, Maine, New England, USA. Landscaped front yard with green and brown trees, bushes, grass, flowers, chairs on the porch and balcony, ocean water in background and clear blue sky are in the image. 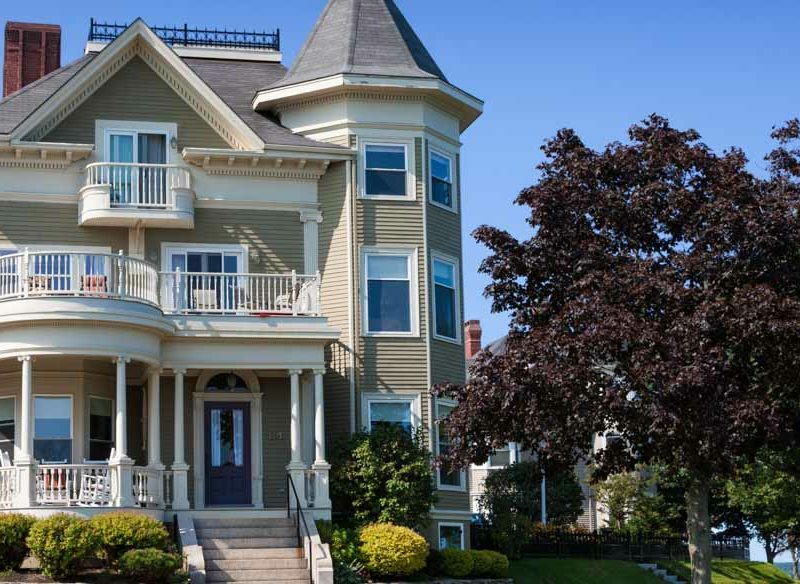 Not to be confused with its namesake in Oregon, this charming New England city is a collage of bobbing fishing boots, pretty historic houses and abundant lobsters. Sitting right on the pier, J’s Oyster serves lobster (of course) and oysters with water views. With a new twist on New England classics, Evantide Oyster Co. has a funky vibe and an interesting bar menu. Central Provisions does a great brunch in historic surrounds. This historic east coast city, which irresistibly describes itself as a place where grey flannel and plaid flannel coexist companionably, is a quaint mix of old-world charms and modern sensibilities. One of the joys of exploring here is strolling the historic heart of the city, taking in the pretty houses of clapboard and red brick; head towards Congress Street, State Street and the old harbour. Greater Portland Landmarks has self-guided tours. Also, the Portland Head Light is the oldest lighthouse in the state, dating back to 1791 when it was commissioned by George Washington. Cruise Casco Bay on one of Maine Sailing Adventures’ two-hour sails, which offer up everything from sunset soul music to sunrise yoga sessions. Maine is a shopping haven, with hip fashion, local design and vintage pieces in abundance. Check out Portland Trading Company, with its quirky roster of goods including kitsch Maine Wildlife Conservation patches and frisbees. Portland Dry Goods Co. has preppy designs for men and women. Portland Flea-For-All is a vintage, antique and artisan market in the Arts District. Grab a take-away lobster roll – fresh, juicy chunks of lobster on a New England split-top bun toasted until golden and then covered in mayonnaise, with potato chips and coleslaw on the side – and head to a picnic table at East End Beach to take in the stunning view. Housed in a 1960s gas-station-turned-laundromat-turned-bakery, Tandem Coffee & Bakery roasts its beans locally, and baker Briana Holt’s baked goodies are much celebrated. Bard Coffee in the old port brews seriously serious coffee too. Each room at the gorgeous Pomegranate Inn is filled with lashings of colour and personality. The light and bright Mercury Inn provides ‘modern sustainable lodging’, with vintage pieces throughout and locally sourced seasonal breakfast included. Housed in a former newspaper headquarters, The Press Hotel has 110 rooms and suites inspired by 1920s writers’ offices.